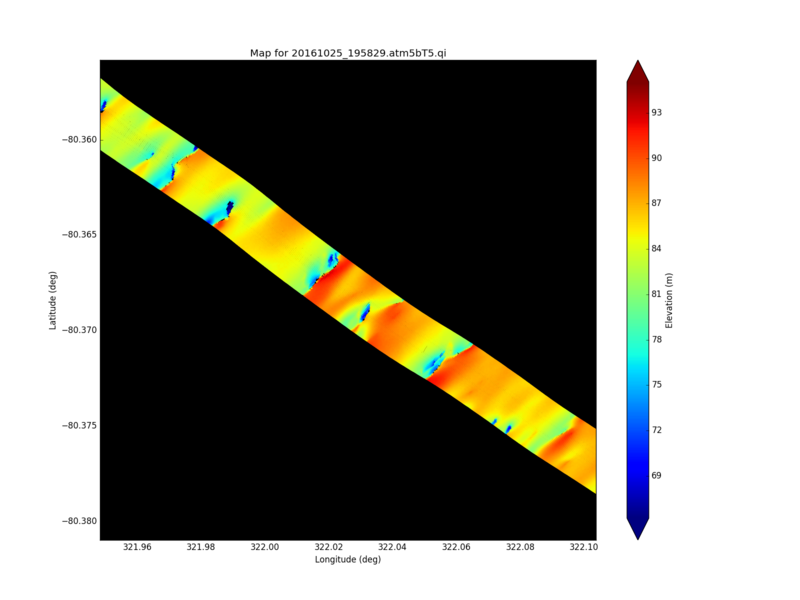 Foundation Support 5 is another ice stream above the Ronne Ice Shelf. Clear skies and great conditions meant another routine data collection flight. OIB flew the high priority Foundation-Support Force 5 mission, this was the highest priority flight which was forecast to have clear conditions for the day. This flight is a new design, one of a suite of four flights designed to sample the bedrock, sub-ice shelf bathymetry and surface topography of the Foundation and Support Force ice streams on a 20-40 km grid. This particular flight is the most downstream of the four missions, and it extends coverage well into the Ronne and Filchner ice shelves on a broader 40 km grid. All instruments performed well during the flight and no data was lost due to clouds. The MCoRDS system performed well over the flat terrain and obtained strong returns from the bed and water, a multiple from the sub-surface return was even seen in the data due to the strength of the echo. The ATM Applanix system had no major issues this flight, a spare unit was newly installed today and will be tested to determine the future viability as a backup system. The MiniRad piggyback instrument was also flown on this mission and looked to have successfully collected about 1.5 Gb of data, a preliminary look at data from the previous flight looked to show successful collection of all 8 channels.